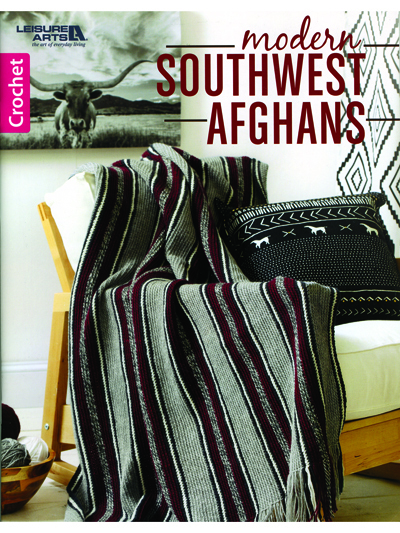 Celebrate the colors and culture of the Southwest with these 6 modern afghans! 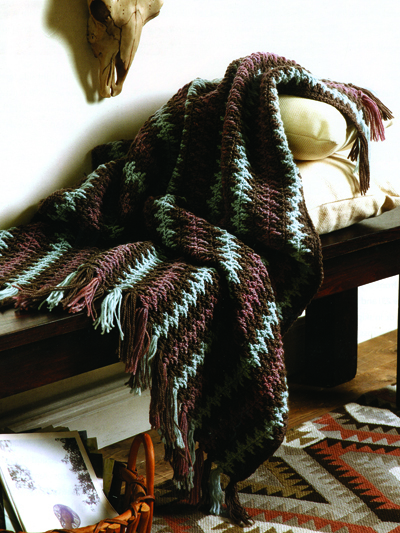 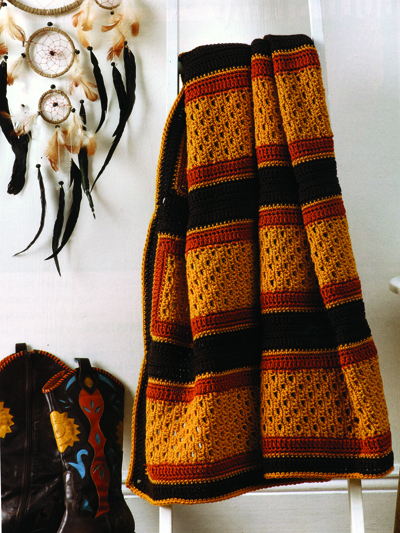 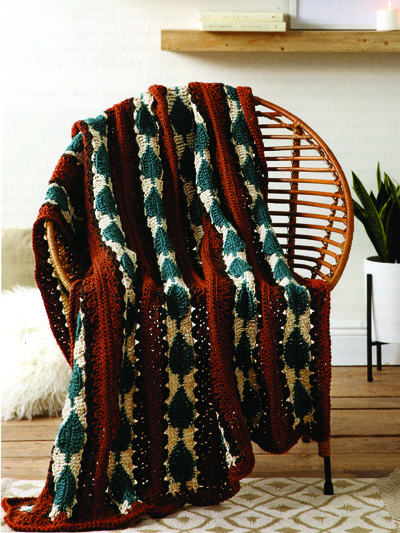 One afghan uses bulky-weight yarn and has an Intermediate skill level. 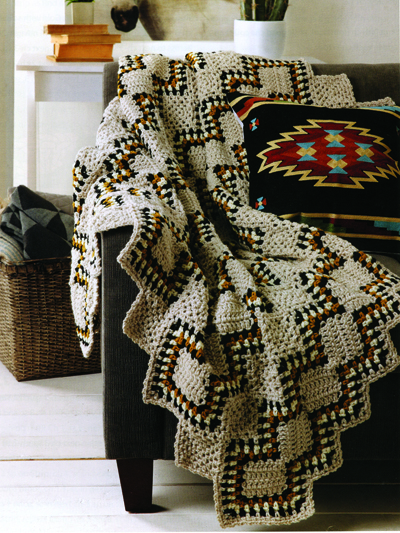 The other 5 use medium worsted-weight yarn and are an Easy skill level.